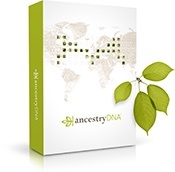 I normally don’t run sales deals on MacGenealogy.org that aren’t tied directly to software, but this is a good deal, and doesn’t happen too often – Ancestry.com is running a 20% discount on AncestryDNA, their DNA test. It started yesterday, April 23, 2015, Ancestry’s “DNA Day”, and it runs through April 27, 2015 (Monday). As the article points out, Ancestry’s strong point is the integration with your family tree. In general, even if you don’t want to test, or have already tested, you should be following Judy’s DNA articles on her blog, as they are among the most informative, and not just from a legal or medical point of view.